BlackBerry made a splash earlier this year with its keyboard-laden KeyOne Android smartphone. Rather than sticking to its niche, though, the Canadian company has made a normal-looking phone. Like last year’s DTEK50 and DTEK60 , the new BlackBerry Motion doesn’t have a physical keyboard, and there’s not much that makes it stand out. That’s a problem. When we reviewed the BlackBerry KeyOne , we argued the physical keyboard was just about the only reason to buy the phone. Now that it’s gone in the Motion, is it worth buying a phone with mid-range specs and a $450 price tag? In our review, we found it’s not. Here’s why. For smartphones with physical keyboards, BlackBerry has virtually zero competition in this niche market. There’s nothing wrong if BlackBerry wants to make a fully-touchscreen mid-range phone, but the market is completely different. Competition in this price range is fierce, and budget phones are getting better every day. We should note, BlackBerry doesn’t manufacture its phones — it largely handles the software, but it works with TCL to build the hardware. The Motion looks like every other smartphone on the market – a big rectangle with a big screen — but there are a few design choices that make this phone a tad unique. 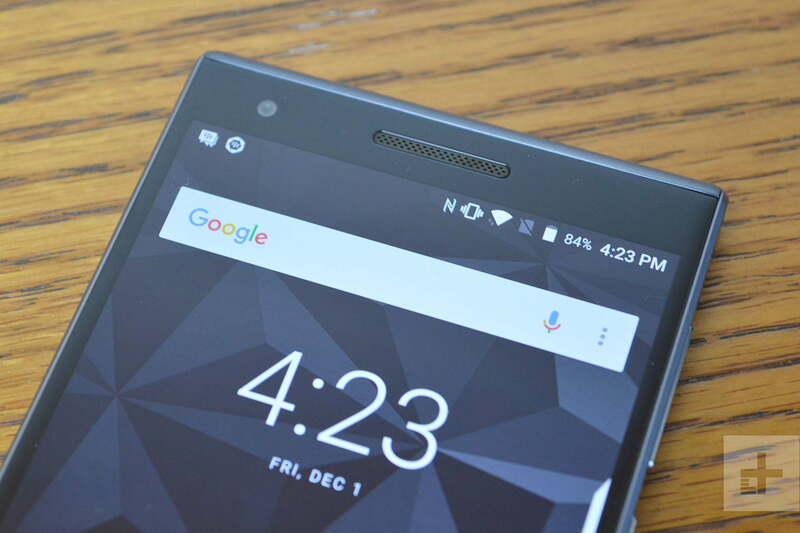 For starters, the top corners are much less rounded – kind of like a Sony Xperia device . The bottom corners are more rounded than the top, mimicking the style of the KeyOne. A home button sits at the bottom, doubling as a fingerprint sensor, and it’s flanked by capacitive Android navigation buttons. The fingerprint sensor performs well enough in our tests, but you have to place your finger perfectly center, which can be a little annoying. The BlackBerry Motion is well-built and sleek. On the right edge of the Motion, you’ll find a volume rocker, power button, and a “Convenience Key,” which acts as a programmable shortcut key. We’ve set it to activate Google Assistant, and it works just as advertised. You can set it to open your favorite app, or more. 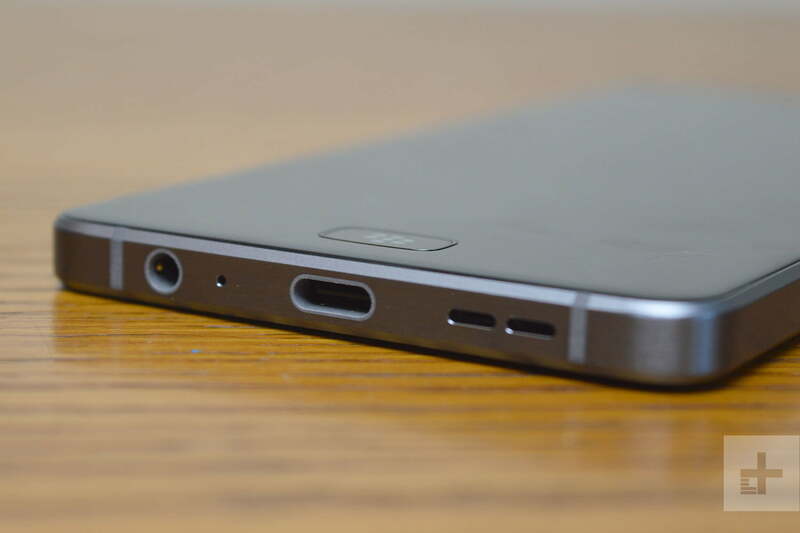 On the bottom, a USB Type-C charging port is flanked by a headphone jack and speaker grill; and on the back is the single-lens camera that almost sits flush against the rear. The rubberized-texture of the Motion’s back makes for slightly better grip, and we like the look and feel of it. The 5.5-inch LCD screen doesn’t follow the popular bezel-less trend we’re seeing from other manufacturers, where the edges surrounding the screen are minimized so you get a larger display in a similar frame. Still, the 1,920 x 1,080 pixel resolution is sharp, and it gets bright enough to read in broad daylight, though we wouldn’t mind a little more brightness. It did not, for example, get quite as bright as the 5.5-inch AMOLED display on the original Google Pixel XL. The BlackBerry Motion is well-built, and while the chunky bezels on the front make it look dated, the rear is sleek. 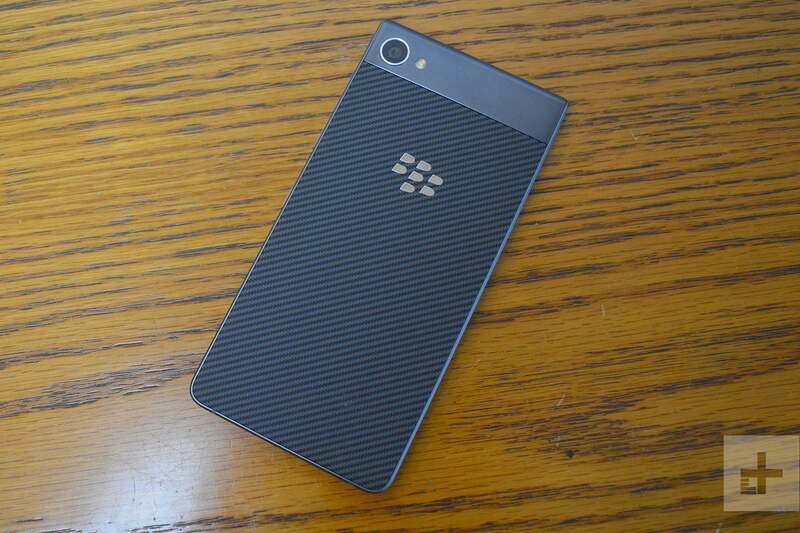 BlackBerry and TCL have managed to still give this phone a premium look and feel. Under the hood, the BlackBerry Motion is powered by Qualcomm’s Snapdragon 625 processor, coupled with 4GB of RAM and 32GB of storage. There is a MicroSD card slot, which is good for those who want a little more storage. The BlackBerry Motion cannot compete with other phones in this price range when it comes to performance. Those specs are perplexing and disappointing for a phone that costs almost $500. Why? The OnePlus 5T costs $500, packs the flagship Snapdragon 835 processor (the same chip that powers phones like the Samsung Galaxy Note 8), and has more RAM. The Essential Phone has the same 835 processor, and its price has jumped down below $500. Even the $350 HTC U11 Life has the better and newer Snapdragon 630 processor. The Snapdragon 625 processor in the Motion is the same processor powering the $230 Moto G5 Plus. Regardless, in day-to-day use the Motion proved to be more than capable. The interface was smooth and responsive, and we rarely experienced stutters or pauses. We were even able to put it through some intense gaming with titles like Asphalt 8: Airborne, and while it did have the occasional stutter, it wasn’t enough of a problem to affect gameplay. The BlackBerry Motion costs $450, so we’re comparing it with phones in this price range. The $500 OnePlus 5T scored a massive 180,588 on AnTuTu, which is almost three times the Motion’s score. The Essential Phone scored 157,705, easily besting the Motion. The HTC U11 Life costs $350, and it scored 71,397 on AnTuTu, which is still slightly better. The BlackBerry Motion cannot compete with the better $500 phones on the market when it comes to performance. That being said, we didn’t run into a lot of issues in our day-to-day use with the Motion, so if you like everything else about the phone, you’ll have a device that performs well enough for everyday tasks. The BlackBerry Motion doesn’t run the latest version of Android, but don’t think it’s not as secure as phones running the new Android 8.1 Oreo. Despite running on Android 7.1 Nougat, our BlackBerry Motion has the most recent security patch from Google, reaffirming the company’s commitment to security. It’s makes BlackBerry standout, as it’s one of the few manufacturers, alongside Google and its Pixel phones, that delivers timely security updates. This phone easily lasts all day under normal use, and could last a second day too. The software itself is relatively close to stock Android, though there are a few BlackBerry-specific features and apps. The keyboard’s taptic feedback is satisfying, and it’s smart too. Like the KeyOne, you can use flick typing for predictive suggestions. Instead of a bar at the top of the keyboard, words appear above letters and you’ll swipe up to insert them into your text. It certainly makes typing fast. The BlackBerry apps installed can be genuinely useful. BlackBerry Messenger will lure in BlackBerry veterans; Content Transfer helps you move files from your old phone; BlackBerry Hub lets you see all your notifications in one place; and DTEK monitors and maintains your phone’s security to keep your data safe, like anti-virus software. Slide the pull out tab from the right edge of the screen and you can quickly access tools like your calendar, recent messages, contacts, and tasks. We didn’t use it much, but some may find it useful. It’s akin to the Edge Panel on Samsung Galaxy phones. We like BlackBerry’s approach here with the software: It’s relatively lightweight, with a few additions that some may find genuinely useful. The rear camera in the BlackBerry Motion has 12 megapixels and an f/2.0 aperture. Like with most budget phones, our biggest issues came from low-light photos. The camera produces slightly blurry — unless you try to stay very, very still — and there’s a fair amount of grain. In broad daylight, you’ll mostly like what the Motion offers. There’s a good amount of detail, and colors are fairly accurate. But dynamic range isn’t great, which means some parts of photos came out overexposed and other parts underexposed. The sensor often has a hard time focusing on subjects – and we even had some photos taken in daylight come out blurry. The best part of the camera is there’s very little shutter lag — tap the shutter icon, and the photo is captured relatively quickly, which is something that can’t be said for many mid-range or budget phones. The 8-megapixel selfie camera performed well, but it’s nothing to write home about. There’s an advantage to having a 1080p display and a lower-powered processor: Great battery life. The BlackBerry Motion packs a massive 4,000mAh battery, and it supports Qualcomm’s Quick Charge 3.0 technology, so it charges quickly too. The result? A phone that easily lasts all day or two under normal use. We took the phone off the charger at 9AM at 100 percent, and by 5PM, after a day of relatively heavy use, we still had a little more than 50 percent battery. That’s not something you’ll achieve on many other devices out there. Like most other phones on the market, the BlackBerry Motion offers a 12 month limited warranty. That covers manufacturer defects, so if you drop the phone and the screen cracks, don’t expect BlackBerry to replace it for you. While at launch the Motion was only available in Canada, it’s now available in the U.S. too. You’ll be able to get it for yourself starting on January 12 from Best Buy or Amazon. 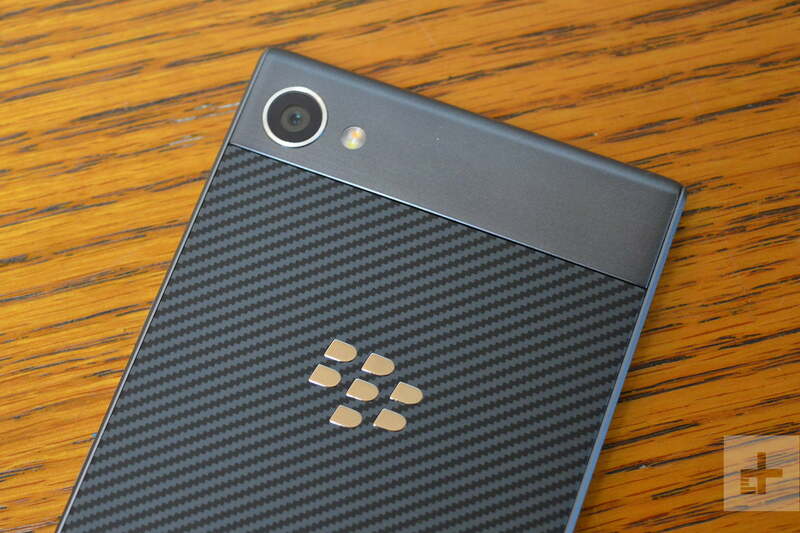 Canadian customers can get the phone straight from BlackBerry’s website. Best Buy are now offering the Blackberry Motion for just $449, which goes some way towards fixing our problems with the high price of the phone. Yes. If you’re spending close to $500 on a phone, we recommend looking at the OnePlus 5T, which runs a near stock version of Android, has high-end performance, and a much better camera. The Essential Phone doesn’t have as good of a camera, but it’s a little cheaper than the Motion, and it excels in every other category — it even gets monthly security updates. You can also look at the Nokia 6 if you want a device that gets timely security updates. For comparable battery life, take a look at the Moto Z2 Play. 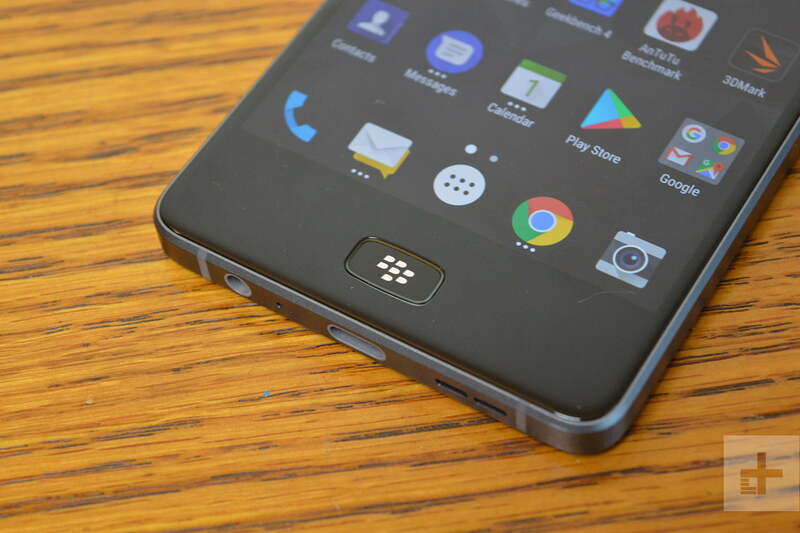 The BlackBerry Motion is well-built and should last a standard two-year upgrade cycle. It has IP67 water-resistance like most flagship smartphones, which means it can survive an accidental dunk in the pool. It will receive Android 8.0 Oreo next year, but we’re not sure if it will get any more version updates after that. It will likely get monthly security updates for two or three years. No. It’s tough to recommend the Motion because of the price. There are much more well-rounded smartphones in this price range, but we can’t deny BlackBerry’s efforts to keep the phone secure. If BlackBerry reduces the price of the Motion, we’ll happily recommend it. Update: The BlackBerry Motion is now available at a cut price from Best Buy.